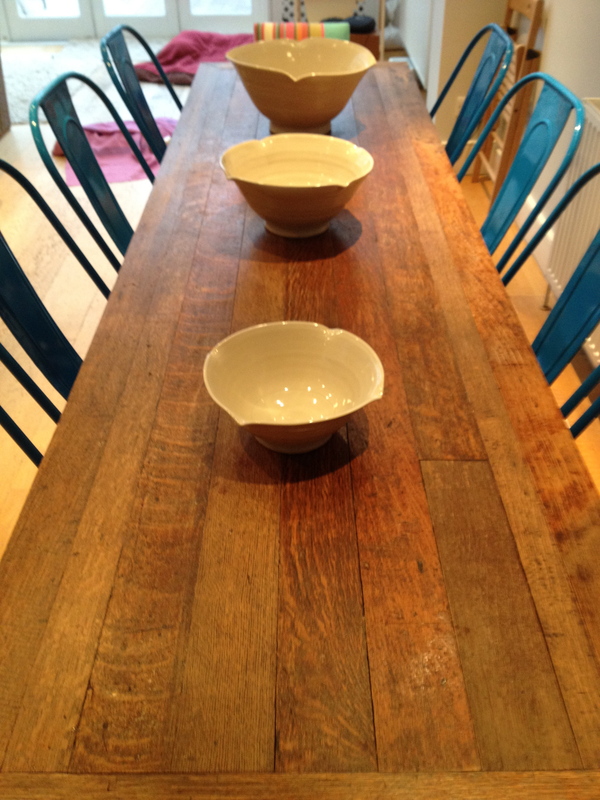 It was in the Isère last year that I found a table solution for our troublesome kitchen-diner space in London. Visiting a friend in her chic chalet in the French alps, I saw a table that was just perfect: long and narrow, made from lustrous French boards, with a modern touch in the smoky iron legs. I asked where she had found it–an antiques shop in Grenoble, perhaps, or an estate sale in the French countryside? Not at all. It came, in fact, from The French House, which is in York and in Fulham not five minutes from our London home. 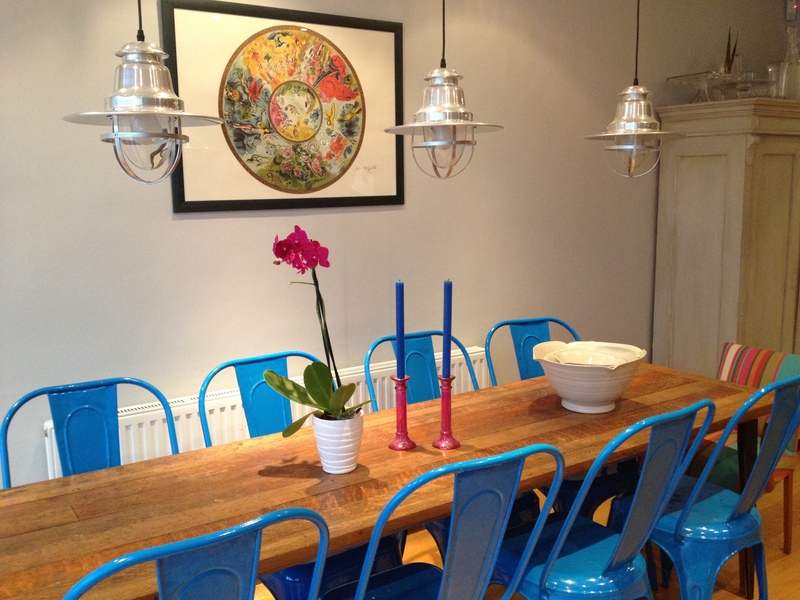 They go all over France and collect wonderful furniture and decorative objects. They also make furniture using reclaimed wood. They had made my friend’s table, and they would make ours. 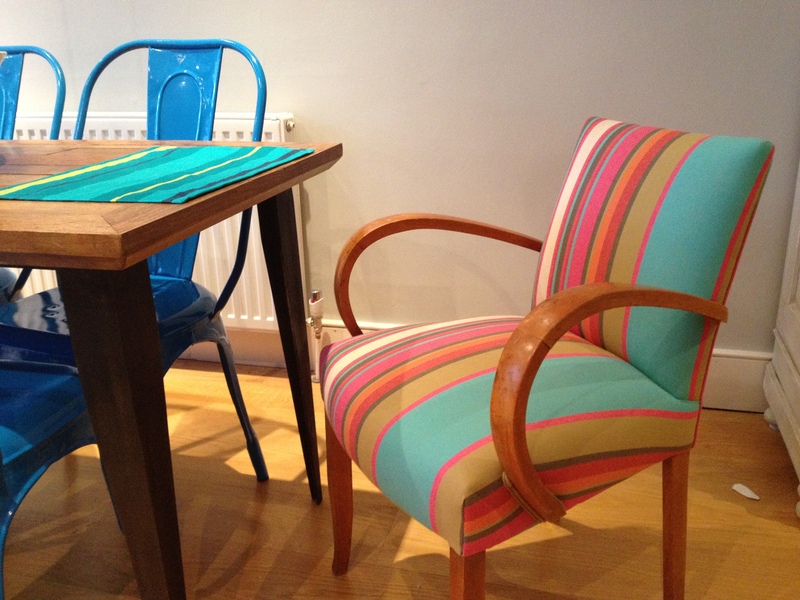 The also had these mid-century French card chairs which they polished up and reupholstered for the table ends. It felt wrong to buy French furniture from a London shop when we spend so much time in Normandy. At the shop they weren’t surprised at all. They said many people buy furniture for French homes in London. There isn’t enough time to get around and sift through the brocantes yourself. 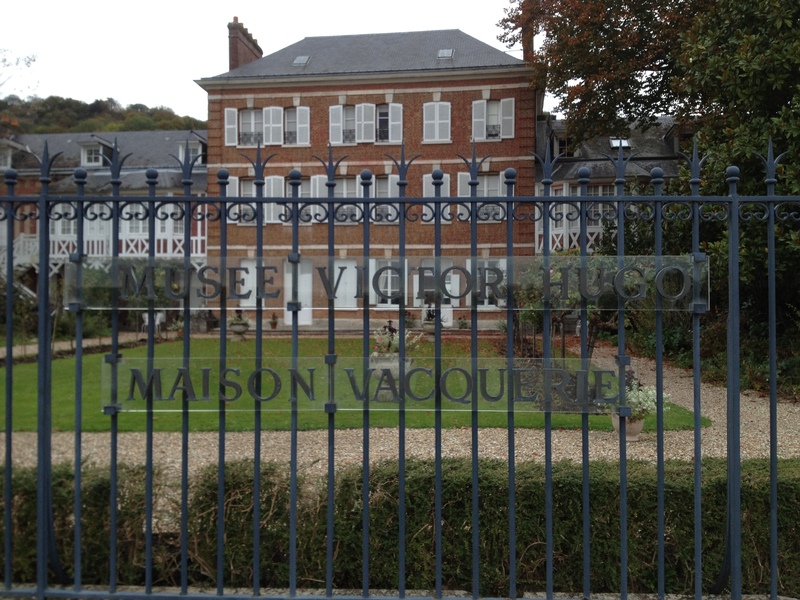 I have yet to explore the brocantes in Normandy – something to look forwards to. Here’s a site that lists all the brocantes and flea markets and antiques fairs in Upper Normandy. And if you can’t get there in person, Sharon Santoni, who runs group trips to French flea markets, has a delightful online shop, My French Country Brocante. Another quite fabulous option, if you can find it, is Home Art & Matiere just down the road from Les Iris in Villequier. Occupying the old pilot’s house, right on the Seine, H.A.M. is a wonderbox of treasures, each room painstakingly curated and filled with carefully chosen artifacts. The kind of place you go to find what you didn’t know you wanted. Of course there’s a catch: it’s only open on Sundays from 3 – 6 pm. Our recommendation: take lunch in nearby Caudebec-en-Caux, and tour the Victor Hugo Museum. From the museum go left along the river to the old pilot’s house, and then browse to your heart’s content as the sun goes down. LOVE the table. I wish long-and-narrow were a more common form. Thank you! It’s a very cosy and informal way to dine.